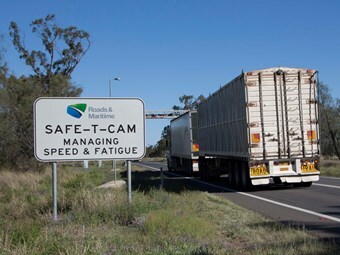 In a big win for the transport industry, NSW Roads and Maritime Services (RMS) has introduced a process for heavy vehicle operators to request FREE access to Safe-T-Cam images in relation to an infringement. NatRoad says it worked with RMS to streamline the process for obtaining a copy of a heavy vehicle camera image. NatRoad advocated for a cheaper, easier and simplified process to access Safe-T-Cam images to respond to Infringement or Court Attendance Notices. Previously there was no dedicated process for a customer to get a copy of a heavy vehicle camera image for a vehicle they own or were driving at the time of the alleged offence. The only way to request an image prior to this was to complete a paid application via the Government Information (Public Access) Act 2009 (GIPA Act). "This is an example of how the authorities can support businesses and make aspects of the already complex legal process more accessible," Calver says.